Cathy is one of the founders of The Art District Gallery. 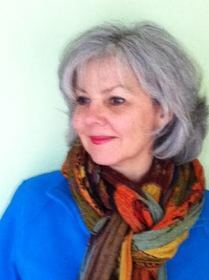 She is also one of the founders of KW Urban Sketchers (now Urban Sketchers Waterloo Region) which has over 300 members. She was one of the eleven core artists in Hespeler’s A Day and A Night - Art Meets Music. Cathy paints as often as she can and continues to take workshops and classes. Currently, she is at Dundas Valley School of Art enjoying plein air painting. She shows regularly at The Art District Gallery and participates in juried shows winning awards at The Homer Watson Gallery, The Hamilton Art Gallery show through COAA, and The Button Factory.